HIGH SCHOOL - Have you been looking for an old Zeeland High School yearbook? The Zeeland Historical Society may just have that copy! ELEMENTARY / MIDDLE SCHOOL - Thanks to a September 2018 donation from the Howard Miller Library, we now have several Zeeland area elementary and middle school yearbooks! 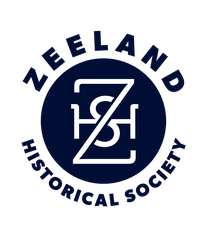 The yearbooks listed below are located in the Zeeland Museum's research room.